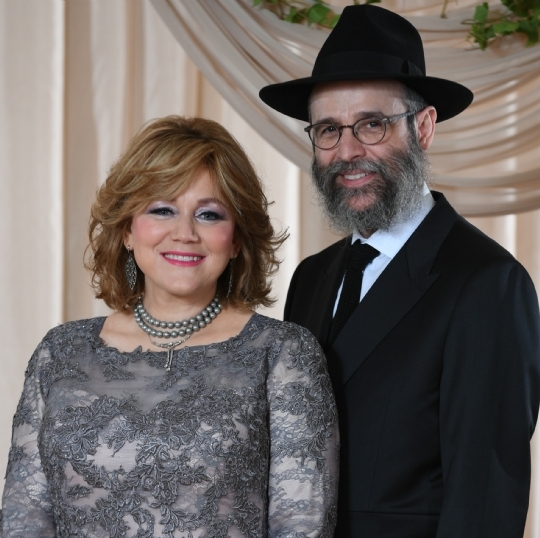 Rabbi Dovid & Rivke Flinkenstein moved to Wilmette in 1992 when they co-founded Chabad of Wilmette in their basement—with not much more than a dream and a prayer. Rabbi Dovid was born in Paris, France and raised in Brooklyn, New York​. He attended the premier Lubavitcher Yeshiva in Brooklyn and received his ordination from the Rabbinical College of America in New Jersey. A thoughtful leader with deep life experiences, he enjoys creating lifelong connections with those he encounters.​ His passionate style of teaching is both genuine and inspirational, drawing hundreds to his courses. He is a ​board ​member of the ​Land & Spirit Israel Experience and has been a featured lecturer at the annual National Jewish Retreat. Rivke was born in London, England to a family entrenched in Jewish education. After concluding her formal education she attended the Beth Rivkah Teachers Seminary in Kfar Chabad, Israel, graduating with distinction. 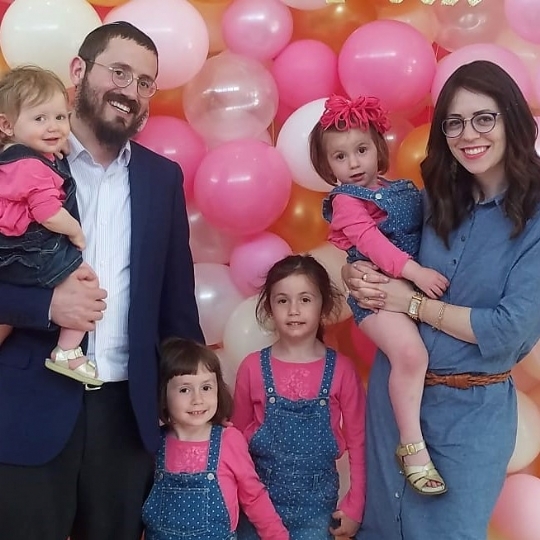 Her leadership, creativity and magnetic personality ​​has been a ​driving force behind the incredible strength and growth of our Chabad since its founding. Hundreds who cross her path consider Rivke a friend, a mentor and an inspiration​. She is the proud mother of three and ​a very active Bubby to her five adorable grandchildren. Rabbi Moshe & Esther Leah Teldon joined the Chabad team in the summer of 2013 with a focus on youth and programming. Their daughters Chana, Shaina, Menucha & Moussia are an integral part of the team. Moshe, who hails from ​Long Island, attained his Rabbinical ordination at the Central Yeshiva Tomchei Temimim in Brooklyn. A veteran volunteer of global Jewish community work, he has served communities in Ireland, Poland, ​and ​Nepal with educational ​and holiday programs and spent many summers as a counselor ​in Jewish camps ​around the world.​ ​Rabbi Teldon is trained in the cantorial arts and serves as our community’s chazzan. While he enjoys teaching and meeting all types of people, his favorite part of the day is being tackled by his four daughters at the end of the day. 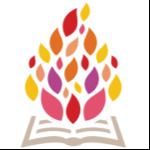 ​Esther Leah, a Wilmette native, began teaching Hebrew School at the age of twelve! She received her teachers certification from the Machon Shoshana Seminary in Jerusalem. Upon graduating she worked as a preschool teacher and youth director in Brooklyn, where she provided extra curricular activities for ​a network of local youth groups.​ She brings her vast experience, and warm, welcoming spirit to her programs, her classroom, and to all those she meets. She is a paragon of work-life balance, raising four young daughters while working full time. Esther Leah’s Shabbat table is legendary—her culinary creations and gracious hosting leave guests thoroughly sated, both physically and spiritually.